Out of Stock on VIZIO.com. Experience extraordinary color depth and range with Dolby Vision HDR + Ultra Color Spectrum and remarkably sharp Ultra HD. An intuitive LED backlight adapts brightness level in real time to focus peak brightness in the right places of the picture for heightened contrast. 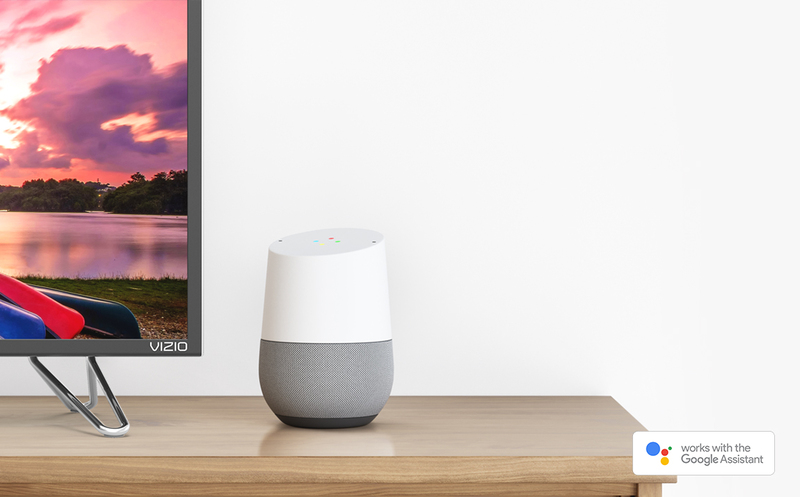 Chromecast built-in lets you command your entertainment and easily stream content from your phone directly to your display. The power of XHDR Plus advances High Dynamic Range even more with impressive color depth, extreme contrast and brighter brights for a new world of visual excellence. The 32 Local Dimming Zones of XBE Plus intuitively adapt brightness levels for darker, richer blacks without compromising brights. For comparison purposes only. Not an actual representation of the colors available. Experience our widest range of colors and saturation for exceptional images with life-like realism never before possible in a home screen. The VIZIO M-Series reveals fine details with radiant splendor — expressing every hue, harmony and tone with impeccable accuracy for a nuanced picture that stays true to the creator's vision. Everything you love about VIZIO SmartCast just got smarter. The new VIZIO SmartCast TV℠ launches apps directly from the big screen, and SmartCast Mobile™ allows you to browse and control your favorite content from your phone. For illustrative purposes; actual screens may vary. Starting to roll out now on 2017 M-Series1. SmartCast TV℠ features apps like Netflix and Amazon Video directly on the big screen for simple access to your favorite TV shows, movies and music. Download VIZIO SmartCast Mobile™ to turn your phone into a powerful touchscreen remote with access to even more apps. Simply tap to cast content to the big screen. Every VIZIO SmartCast display has Chromecast built-in. Access thousands of Chromecast-enabled apps on your mobile device and stream right to your display. All the apps you know and love. With Chromecast built-in, experience endless entertainment. Discover a range of free, subscription or paid content from thousands of apps. Connect your device to the same Wifi network. Tap the Cast button to send content to your VIZIO SmartCast™ device. with Amazon Alexa & Google Home. Enjoy a hands-free entertainment experience that makes controlling your content easier than ever. Alexa. Turn on Living Room Display. OK. 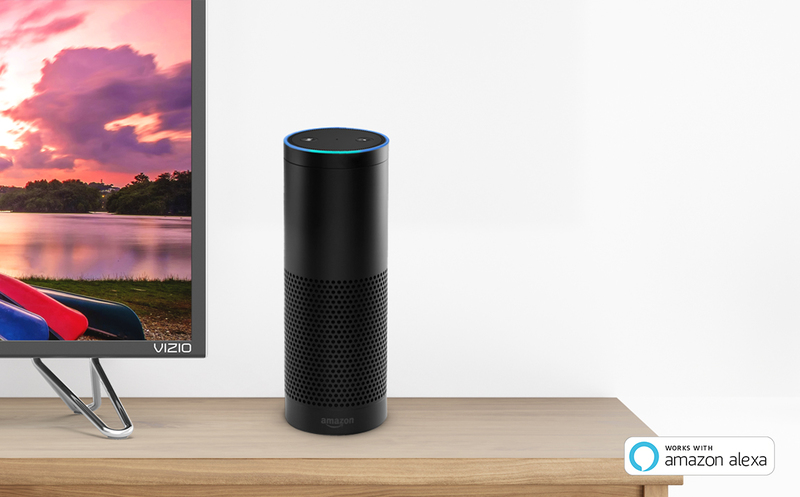 Ask Alexa to power on/off your display, play, pause, turn up the volume and change the channel. It’s that easy. playing on your Living Room Display. Ask Google to stream your favorite entertainment from Netflix, YouTube and more. Play, pause or turn up the volume without lifting a finger. WARNING! This product contains a chemical known to the State of California to cause cancer, birth defects or other reproductive harm. California Health & Safety Code Section 25249.6. 2. Actual remote may vary. The third-party applications referenced here may only be available in certain countries and languages, may require additional fees or subscription charges, and may be subject to future updates, modifications, interruption and/or discontinuation of service without notice. App services featured on the included IR remote may not be available in all regions. VIZIO assumes no responsibility for such applications and content. 4K or HDR availability varies by app and may be subject to subscription fees, internet service, and device capabilities. Additional third party terms, conditions and restrictions apply. VIZIO, Inc. has made every effort to ensure the accuracy of the information provided herein. All product specifications, functionality, features, configurations, performance, design and other product information described herein are subject to change without notice. VIZIO, Inc. disclaims liability for typographical, technical, or descriptive errors. ©2017 VIZIO, Inc. VIZIO, the V Logo, VIZIO SmartCast, Home Theater Display, Active LED Zones and other terms and phrases are trademarks or registered trademarks of VIZIO, Inc. All other trademarks and logos are property of their respective owners. All rights reserved. Amazon, Alexa, Amazon Echo and all related logos and motion marks are trademarks of Amazon.com, Inc. or its affiliates. TV TunerNo, if you use an external antenna to watch local over-the-air broadcast TV signals, a TV tuner is required and sold separately. Warning:This product contains a chemical known to the State of California to cause cancer, birth defects or other reproductive harm.